Capture your project and monitor your progress, from anywhere in the world. Construct Films is a time-lapse production specialist, covering projects and events of any duration from 1 day to several years. Our 4K Ultra HD video is derived from our DSLR stills, edited into monthly clips with a fully produced film at the end of the project. 12 megapixel photos are provided as standard, shot using our excellent quality DSLR-based camera system. Every client has a custom portal login to our Archive (for projects of 1 month or longer) to view site photos within an hour of being shot, watch monthly clips, or review and feedback on final video edits. Our custom-built camera systems are designed with construction projects in mind. 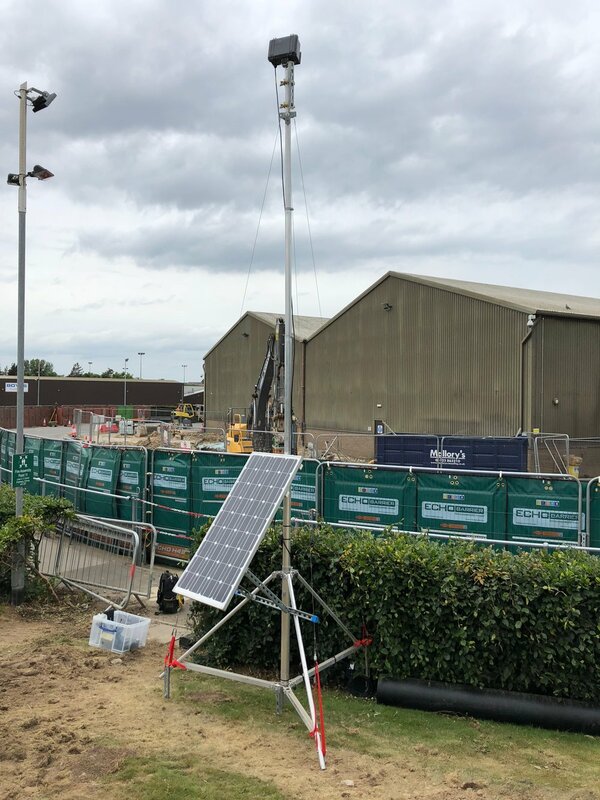 A built-in 4G connection, solar power and freestanding masts mean we can position a camera anywhere for the best shot. We’ve worked on projects involving new wind turbines, demolishing 1million-litre tanks, new housing developments, retail fit-outs and lots more. See examples of our work here. We’ve filmed one-day events, two week fit-outs, multi-year infrastructure builds and everything in between. Preparation of the Manchester CityGames over 3 days. 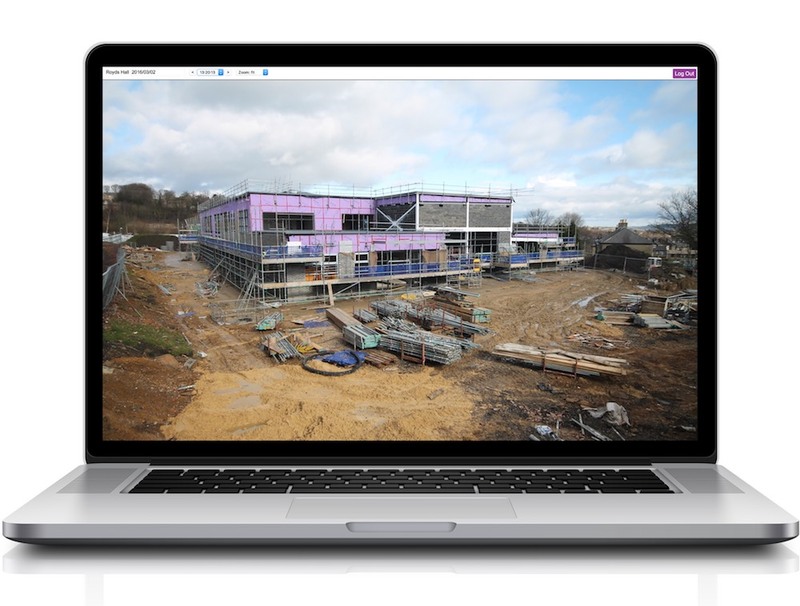 For long term projects, we'll also capture live action clips and provide site photography whenever we visit site. All included in our standard prices. We can also make a special visit to capture milestone events. All images are backed up to our servers using an encrypted connection, ideal for sensitive projects or locations such as film sets, power stations or factories. Multiple backups prevent images being lost in case of camera theft or damage. We guarantee 100% reliability of our long term time-lapse filming service, a feature that few UK providers offer. Our innovative camera system communicates with our office and warns of any potential problems ahead of time -- allowing us to sort out issues before they interrupt photography. As an efficient company we are proud of our competitive prices and we publish them online. Our pricing is simple and fully-inclusive. We charge an installation fee for each camera (which also covers removal) plus a monthly fee for the duration of the project, and this covers everything provided in the service -- from writing risk assessments to sending video clips to keeping the cameras running. 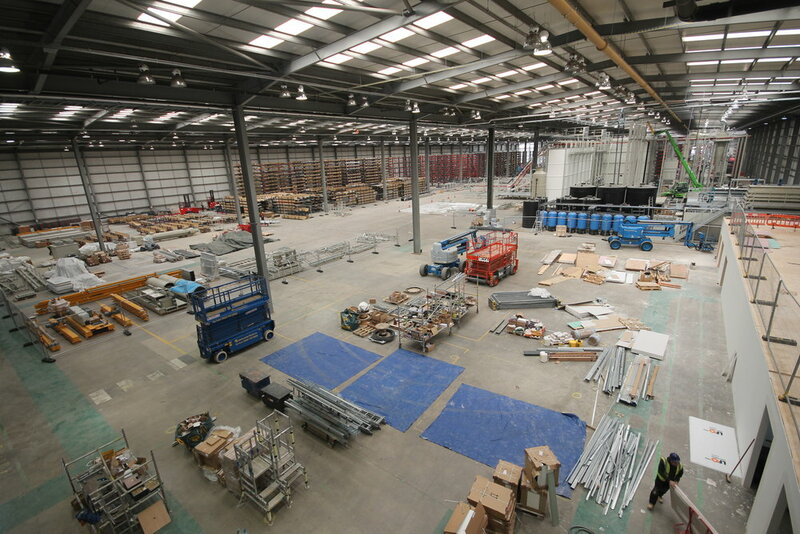 For each new long term project we survey the site to confirm camera locations, fixtures and power supplies. We take a few test shots to give the client an idea of what view the camera will have. Our engineers hold CSCS cards, IPAF access licences and are experienced photographers on construction sites. Full film production service: Construct Films is experienced in filming corporate functions and live events, and we think nothing can show off a project better than a captivating video of interviews, project milestones and time-lapse shots showing how obstacles were overcome and progress was made. Learn more about our film production services here. If you have a specialist requirement not mentioned above, please let us know via the contact page.